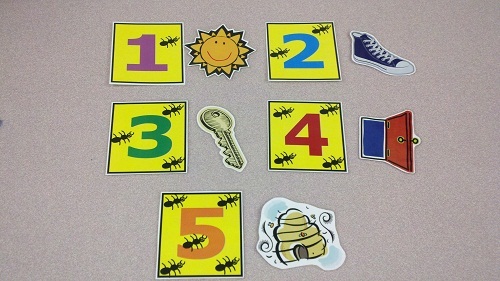 Our spring session of Toddler Time started today, hooray! The winter session was so popular with patrons, that I’m very curious to see how this one goes. We had a slightly smaller crowd than normal today, but it was still a pretty full house (and, honestly, I blame the icky weather for keeping people at home). 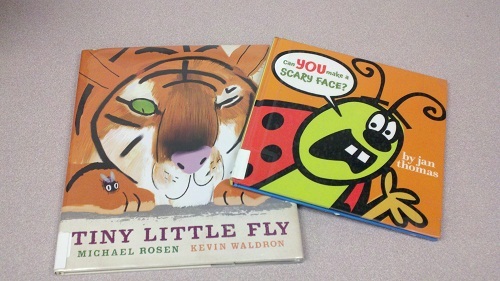 Our theme today was bugs because it’s one of my favorite themes to do for storytime! Instead of catching bugs, we caught bubbles while we listened to the YMCA (weird song to listen to during bubbles, but it’s so upbeat and peppy, that’s it’s good background music for activities). I decided to add a calm down rhyme right after our flannelboard because the toddlers are always so rambunctious by then. I know it’s a good thing and that it means that they’re enjoying themselves, but I also feel as though barely any of them pay attention to the second story because of it. So I decided that Twinkle, Twinkle is a good song to use to try to calm everyone down enough to sit through another story. And I was right. Even though we had lots of rowdy kids marching around the room for The Ants Go Marching, they all climbed into a caregiver’s lap and settled down during Twinkle Twinkle. Oh no! that was a mistake!